Be bold on your wedding day! This cake is the perfect partner for those who love a bit of colour and will serve around 100 guests. 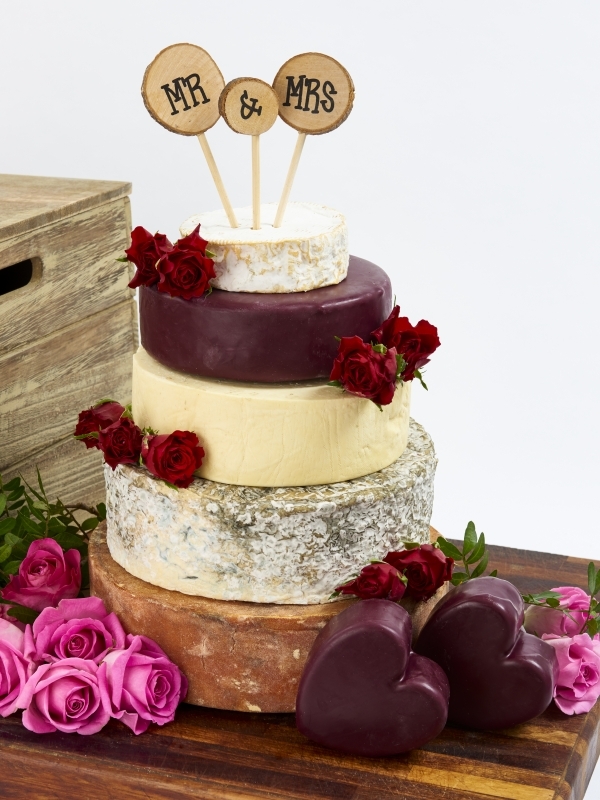 The Hassop Cake is created using 5 layers of cheese all with individual tastes and textures. If you would prefer to taste before you buy you can purchase a sample box of all the cheeses that go to make up The Hassop Celebration Cheese Cake.